All of the additional components shown below are available on our Website. 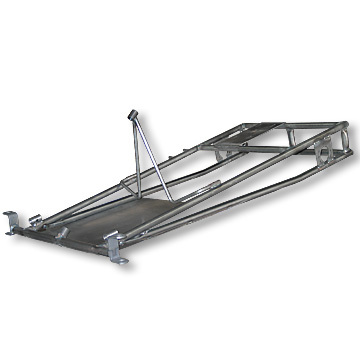 This frame also can be ordered as a complete kit ready-to-build. Since you are skipping the Dealer and saving over half the retail cost, you will have some assembly to do. Vehicles are shipped warehouse direct, in a crate, 95% assembled. NOTE: Even on assembled units: The manufacturer's warranty requires that vehicle setup and maintenance be performed by a qualified mechanic. 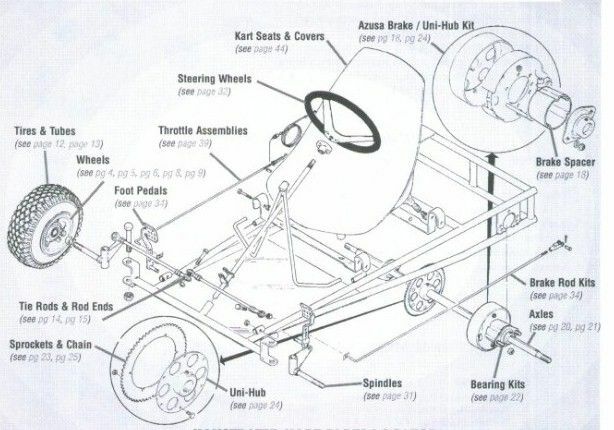 Setup can include installing: wheels, seats, roll cage, lights, battery. Who can work on my Vehicle? There may not be many Go Kart or Scooter shops in your area. These shops can help with Assembly, Repair or Maintenance. Often times, they can come to your house. All Parts are available for online ordering. All Manuals can be downloaded. The Manufacturer Warranty covers parts only and labor is not covered under any circumstances. The warranty covers defects in material and workmanship and DOES NOT COVER repairs or damage due to operation. To request support or initiate a Warranty Claim, please complete a Help Request . Parts can be purchased at any time on our website.